Happy Saturday. I hope your all having a good week so far. I can’t believe I’m currently 36 weeks pregnant and only 4 or so weeks to go. This pregnancy has literally flew by. I suppose my little lady is keeping me busy and I don’t miss the time going by at all. With Christmas only 2 weeks away I know the rest of the pregnancy will more than likely be gone in the blink of an eye so at the moment I’m just enjoying spending time with my little women before she becomes a big sister. Life is always crazy around this time of year for me with so many birthdays etc going on. My little girl also turned 2 on Sunday so there was loads of celebration and a party of course. I honestly cannot believe my little baby is no longer a baby and has grown up to be the most independent, clever little girl. It’s crazy how time just passes by. If you follow me on Snapchat you will know that I was admitted too hospital a couple of weeks ago with severe back and pelvic pain not knowing what the cause was, they decided to keep me, monitor the baby and send me for a scan. So after the scan they discovered that I have Polyhydramnios which is a common complication of pregnancy, where there’s an excessive amount of amniotic fluid surrounding the baby. The cause of Polyhydramnios is often unknown but can sometimes indicate a problem with the baby but all was checked and everything seemed fine. So after a couple of days in hospital I was finally let home on bed rest. They also gave me a brace and crutches to help me get around. Although they are helping then pain is still horrendous and by around 4 o’clock by back completely gives in. I am finding it hard this time around especially with my little one been so active. Some days I can bearly walk at all. It’s definitely okay to say pregnancy isn’t easy and it is hard at times. I can definitely hold my hands up and say I know I am very lucky to be expecting my second child but it’s not all dewy skin and happy faces. You might have noticed my social media is a lot quieter and the reason being some days I’m just not coping well at all and that’s ok. 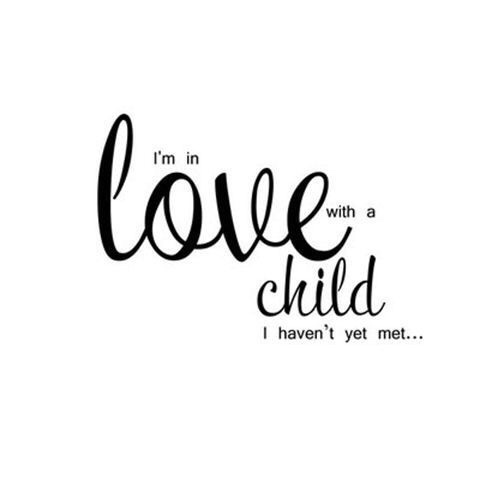 I know that soon enough my little baba will be here and it will all be worth it. I definitely think if i wasn’t carrying the extra fluid and my back wasn’t under so much pressure i’d be writing a completely different story but this is how it is for now. At the moment I’m literally living in leggings and casual tops, nine times out of ten my pyjamas and eating rings around myself. My bags are all packed and ready to go. We also picked up the Buggy and car seat last week which i’ll do a separate post all about once baba is here. Other than that I am really looking forward to just spending the next few weeks with my family and enjoying Christmas with my little one before life changes for us all. I cannot believe I’m writing my 7 Month Pregnancy update already. It really has flew in second time around. Since my last update at 5 months (see that here ) I have definitely got a lot bigger and I mean a lot. When we first found out we where expecting our second baby, by my dates I was due on Christmas day. I was also due Christmas day with my first baby, but was induced early. I definitely think I’m destined to have a Christmas baby. My Mam had her first on Christmas day so how ironic is it I was due Christmas day also. But after my first scan at 12 weeks , the hospital said I was due on the 17th of Jan. But I was so sure on my dates, but I know ovulation can take place at a later stage and all that jazz. But I always felt further on than what the scans where saying. We then had our 21 week scan. Where we had decided we wouldn’t find out what we where having but we gave in at the end and found out. But we are keeping it a surprise until baba arrives. Dates wise at that scan baba was coming in at 13th Jan so the due date had come down by 4 days and we where happy with that but at the back of my mind I was still so sure on my dates. Around 23 weeks I had my GTT test as I was retaining glucose in my urine. But I was the same in my last pregnancy and all was fine. But this time it came back just under borderline, so that means I have to watch what I’m eating and control my diet. For anyone that doesn’t know what GTT test is, it’s a test for Gestational Diabetes which is a type of diabetes that some women get during pregnancy. Between 2 and 10 percent of expectant mothers develop the condition, making it one of the most common health problems of pregnancy. Diabetes is complicated, but long story short it means you have abnormally high levels of sugar in your blood. It can mean you may need to have your labour induced early or have a C-section . It definitely is a big worry but I know I just have to control my sugar intake. But when you are a sweet person it’s though, but baba comes first. So I wasn’t due back to the clinic until 32 weeks but a check up with my GP at 28 weeks which I had last Monday which she said I was measuring 30/31 weeks which would leave me bang on my original dates. She advised me to contact the hospital to arrange for an earlier app to get measured again. So I headed back to the hospital today and I am now measuring 33 weeks. They rescanned me to check the fluids etc and all is ok and they are still going by my scan dates of 13th Jan 2017. In other news we have picked our buggy and I have started packing my hospital bags etc but ill do a separate post on all of that soon. I have a checklist that I’m using for the hospital which I will post below. But if you have anything you would add to the list definitely let me know. Other than all that I am still feeling really good. Apart from the obvious ones like tiredness , leg cramps , excessive peeing , pressure etc everything is all good thank god. 20 week pregnancy update !! This week I am back with my 20 week pregnancy update. I can’t believe I’m already 5 months pregnant with everything that’s been going on it’s flying by. So finally I am sick free, thank god because there is absolutely nothing worse than being sick while trying to look after yourself and a toddler it’s hard going. But definitely all worth it. Clothes wise I’m still in my normal clothes but bump is definitely starting to show more. 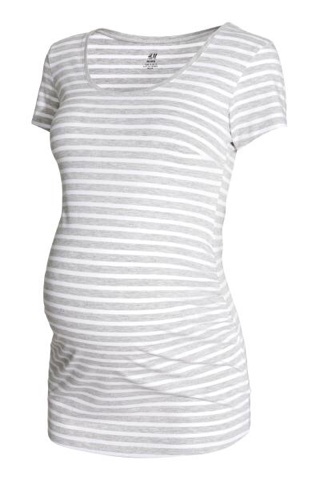 On my last pregnancy I just went up a size or two in my normal clothes. 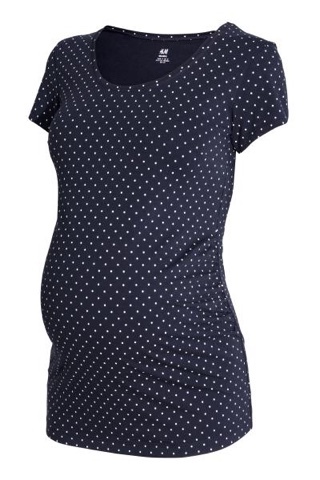 But this time I’m going to pick up a few maternity bits. So if you’ve any good places to shop let me know. They where €9.99 each and really nice and stretchy. 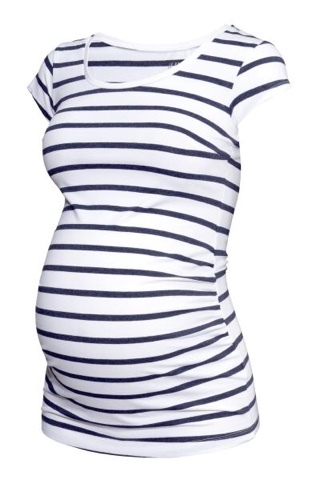 I can’t seem to find good maternity leggings anywhere. So if anyone has any suggestion please let me know. We had all intentions of finding out what we where having this time around. But we’ve changed our mind and are going to keep it a surprise again. My sister just had a little girl and completely surprised us all, as we where fully convinced she was having a boy . So the surprise is definitely worth it. So for now we are keeping it a surprise. We have our big scan coming up in 3 weeks times and I’m going to take my little women along with us, to see her brother or sister. Even though she doesn’t understand she still knows Mammy has a baby in her belly and gives my belly kisses and hugs and says baba. Sleep wise I’m starting to feel uncomfortable already and never used a pregnancy pillow in my last pregnancy so would anyone recommend them, as iv heard mixed reviews ?. We haven’t even thought about names or buggy’s at the minute but once we get settled back into the house after renovations there will be no stopping me then. And 9 Weeks Have Passed!! I know it’s been a couple of weeks since I’ve been online and as most of you will know, it’s been a hectic few weeks for me so I thought I would fill you all in. The first week of May my father was taken into hospital unexpectedly. He spent 3 weeks in Beaumount Hospital, where we soon realised his condition was a lot worse than we expected. After some time the doctors informed us that, my father needed to have Open Heart Surgery as soon as possible and was scheduled for an emergency operation. During this time I was also admitted to hospital with a tummy bug, to discover I was a couple of weeks pregnant. Shocked but absolutely over the moon. My little baby was soon to be a Big Sister and our family was extending. Soon after my dad was transferred to The Matter hospital, where the surgery was to take place the following morning as I was still very unwell I couldn’t get up to see him before the Op but my Mam and sisters all went up and gave him a big hug & kiss from me. I never slept that night with the worry of how surgery would go the next day. He was first on the list, so down he went at 8am and roughly the surgery would last 4-7 hours. Around 5pm my mam received a phone call to say all went well and he was in recovery. The sense of relief was unreal. But soon this would all change. Two hours later the dreaded phone call came around. Still to this day it’s all a blur. Shortly after the operation my dad’s blood pressure took a massive drop and they presumed he had a bleed internally, so they rushed him back to theatre, where they soon realised there was no bleed and in actual fact he had taken a massive heart attack. The surgery initially was to operate on his left side which was the side which needed the work done. But what happened was the right side / the good side had taken a heart attack and wasn’t functioning they way it should. There was a very rare chance of this happening and they had only ever seen one other case of this before. Our hearts sank into a million pieces. You think how could this happens to us? My dad’s one fear was to not wake up and this is what was to unfold. The Doctor told us the next 24 hours were critical, he was fighting for his life, that’s exactly what he did, into the early hours of the next morning. They even lost him for 8 seconds. We all arrived at the hospital the next morning and I sat in the waiting room not knowing what to expect. Looking at him like that was heart breaking, it’s something I’ll carry in my mind forever. Machines keeping alive. The feeling of not knowing would he make it absolutely tore us all apart. The realisation of how quickly someone you love so much, the heart of the family, your dad could be taken so suddenly. He slept for 10 days, heavily sedated but highly monitored by the staff in ICU. What seamed like 10 months, but only 10 days he finally opened his eyes. Getting the phone call that day saying he was awake, I can’t even begin to tell you how I felt. Over the coming weeks he fought so hard battling pneumonia and chest infections.Back and forward to ICU. 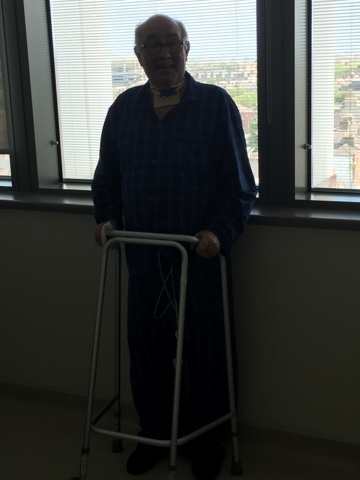 He finally went back to the ward where he should’ve been the day after the operation. Although he still has a long road of recovery ahead, there are no words to truly tell you how grateful I am to have my father here with us, alive today. Life throws us some unrealistic situations but you never think it’ll be you. It really puts life into perspective and really makes you realise what’s important and what’s not. We all get wrapped up in the little things in life makeup , fashion , unmaterialistic things but really what you need is always in front of you and if that’s gone you can never replace it. He’s finally coming home this week to all his girls. On that note I would like to thank all the staff in Beaumount and The Matter hospital who looked after my father and saved his life.